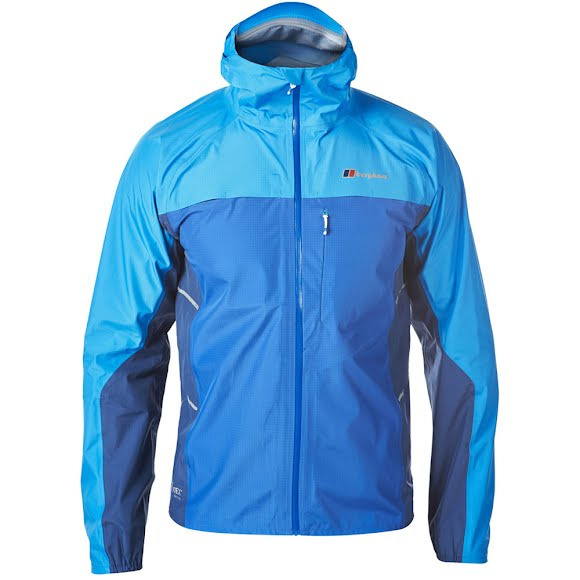 Developed by our innovative MtnHaus® team, the Men's Vapour Storm Jacket is the world's first waterproof venting jacket, designed specifically for the serious multisport athlete. The lightweight GORE-TEX® Active jacket offers the highest degree of protection and comfort whilst still allowing you to move quickly and easily. Developed by our innovative MtnHaus® team, the Men&apos;s Vapour Storm Jacket is the world&apos;s first waterproof venting jacket, designed specifically for the serious multisport athlete. The lightweight GORE-TEX® Active jacket offers the highest degree of protection and comfort whilst still allowing you to move quickly and easily. With the world&apos;s first waterproof fully open vents, the jacket has been designed and tested for the world&apos;s toughest mountain race &apos;The Dragon&apos;s Back&apos;. Ideal for hard working athletes who want to travel fast and light GORE-TEX® Active features a lighter weight , streamlined 3 layer construction for excellent next to skin comfort and breathability, as well as durable water and wind proof protection. MtnHaus products and technologies are tested to destruction and refined until we are confident that they will stand up to any challenge, so you can be confident that your gear will work where it matters most Ð when you are on your next adventure.